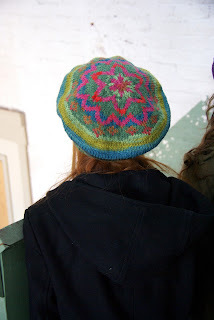 Liberty Wool was the runaway hit of Fall 2010. Who knew it would become our number one yarn for the year? Even we underestimated the response it would get (you may have had some trouble finding it last year, shops were selling out all over the country.) To what can we attribute its success? Could be the softness, the machine-washability, the versatile gauge or maybe the beautiful solid colorways and long color repeats of the printed shades. 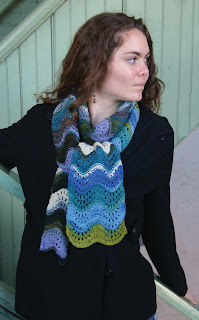 Could be that the patterns are flattering, fashionable, and show off the best qualities of the yarn (think the Molly scarf, or the Elizabeth cardigan). This year, we wondered how to get our ten new colorways into your hands, and came up with the Liberty Wool Subscription Program. Two colors will be released each month between February and June, and any LYS that subscribes will receive one (or more) bag of each. All our subscriptions get first priority, and will ship before any other orders! That means if your shop is a subscriber, they are guaranteed to be the first to have these colors in stock, and you'll be the first to have them in hand. It gets even better. Subscribers will have access to free patterns each month, designed specifically for Liberty Print by our designers. 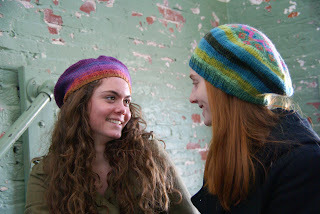 Patterns will be free with the purchase of the yarn! Presenting our two patterns for the February release...These patterns are both worked using the two colors of Liberty Print with colorway 7893, Rainforest. The scarf is 7891 North Sea Whitecaps, striped with Rainforest, and the two tams are each made with Rainforest and 7890, Ultra Violet Autumn. 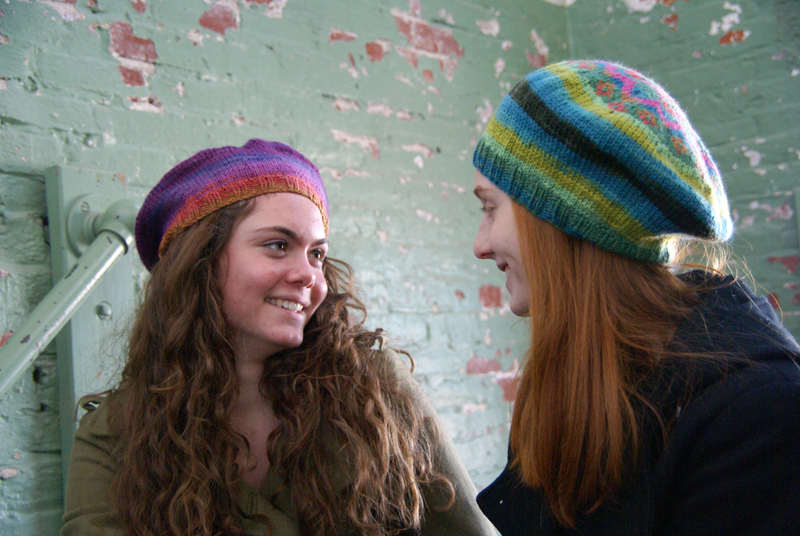 Tam number one uses Ultra Violet Autumn as the main color, and Tam number two uses it as a contrast color. To get these patterns for free, ask your LYS if they've subscribed yet. If they haven't yet, don't miss out on next month's two colors, we are still accepting subscriptions. 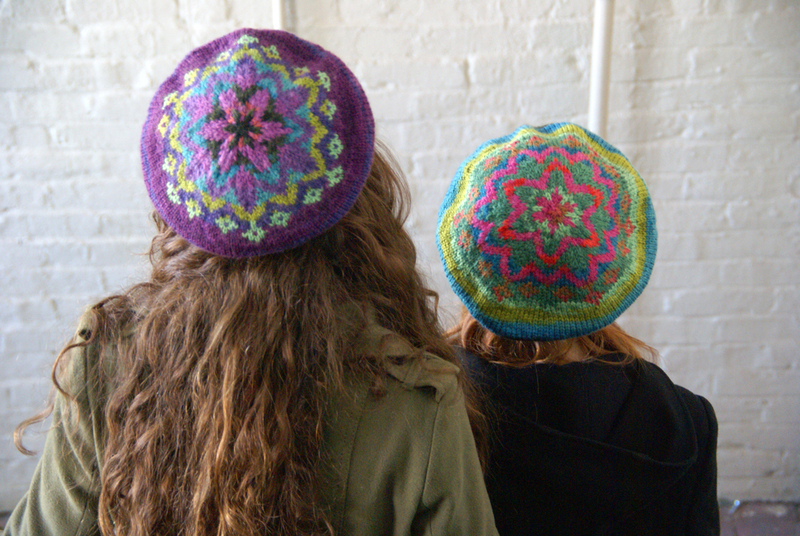 Once the month draws to a close, you''ll be able to buy both patterns on Patternfish. I am in the process of making the Molly Scarf. I am using a similar yarn and it's coming out great. I really love the patterns and want to make the Elizabeth sweater too. I'm hoping my local yarn shop will carry the Liberty yarn soon. Liberty Print Subscription, March Colors!